Meet Ms. Addie, lead pre-kindergarten teacher and team lead at our La Petite Academy in Verona, WI! 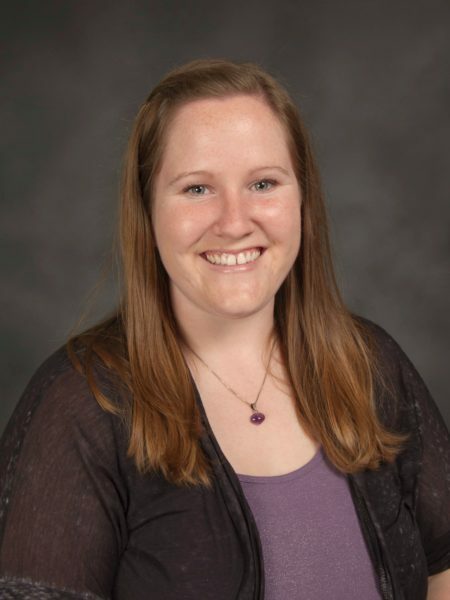 She has been at La Petite for eight years and studied elementary education and early childhood at the University of Wisconsin-Platteville where she received her bachelor’s degree. Read our Q&A to learn more about her! Why did you decide on a career in early childhood education? I just really like working with kids. I like seeing their “a-ha!” moments when they get something accomplished. You see a lot of that when you teach pre-k because there’s a lot of growth in writing, letters, sounds and drawing. What do you enjoy about teaching pre-kindergarteners? I just feel like this is their base. So I feel like it’s really important that they learn their social-emotional skills at this time because they’ll be going to the bigger school the following year. I just think they’re a lot of fun at this age with all the things they tell me. Can you share some of what they say to you? They can just be random things. I’ll be in the middle of circle time and they’ll be like, “did you know my pillow is cooler on the flip side! ?” Or we were doing patterns one year, and a student made a green and yellow pattern, and she goes, “I made this for the Green Bay Packers because they win all the time and they fly the American flag!” I just thought that was so funny. How do you keep communication open between yourself and parents? Every day we send home a little note just saying what we did that day, so parents at least get to see what their children did. I also send out a weekly newsletter on Fridays. They’re also welcome to call any time. I like to play volleyball. I play in the winter and the summer. I also like to bowl. My parents have a cabin up on the Mississippi river, so that’s always fun to go on the boat. Overall, why have you chosen to stay at La Petite for the past eight years? I really like the families and the kids that are here. I also feel like I have a god relationship with the directors and the rest of the staff. What has been your favorite accomplishment since you’ve been at La Petite? Getting team lead was a pretty big accomplishment. It means that I’m still under the director and assistant director, but I’m also in charge in case the director and assistant director need to be somewhere else. I can open the building, close the building and help with any conflicts, as well.